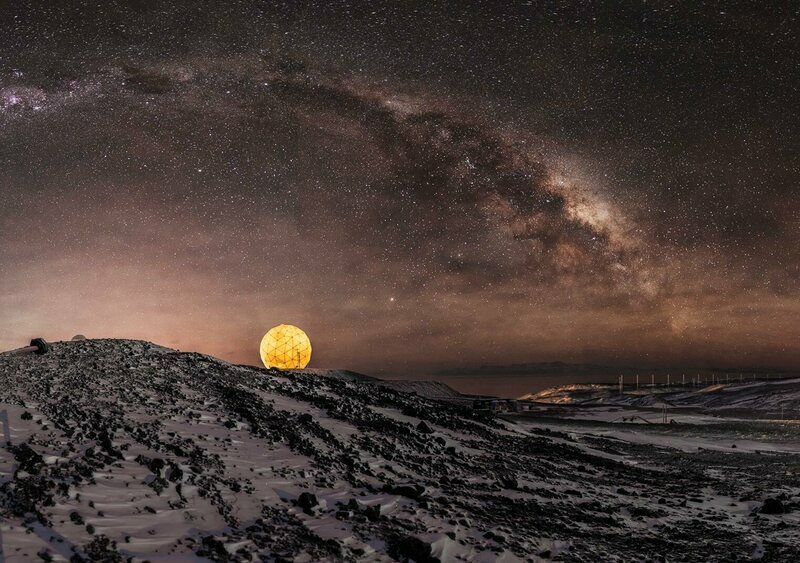 The days in Antarctica are getting ever shorter; winter is settling in. On the world's southernmost continent, during May and June temperatures are supposed to drop far, far below 0 °C, and then stay particularly frigid until September. The record low, measured in July 1983 at Russia's Vostok research station, was −89.2 °C. Kuipers Munneke and his colleagues were watching this particular weather station to better understand how and why meltwater pooled on the Larsen C ice shelf, which is in danger of collapsing. They had expected that most of this melting would take place in the summer. “But if there are positive temperatures, in Celsius, even far outside the summer months, even in the middle of winter, maybe there’s also melt happening in winter,” he says. Even after the scientists corrected their raw data, the temperatures stayed positive. With this new information, they reevaluated their assumptions. In a paper published this month in Geophysical Research Letters, they report that 20 to 25 percent of the ice sheet melt could be happening in Antarctica's winter. The research team found these almost unbelievably high temperatures “just because we put the weather station in a place where a weather station had never been before,” he says. 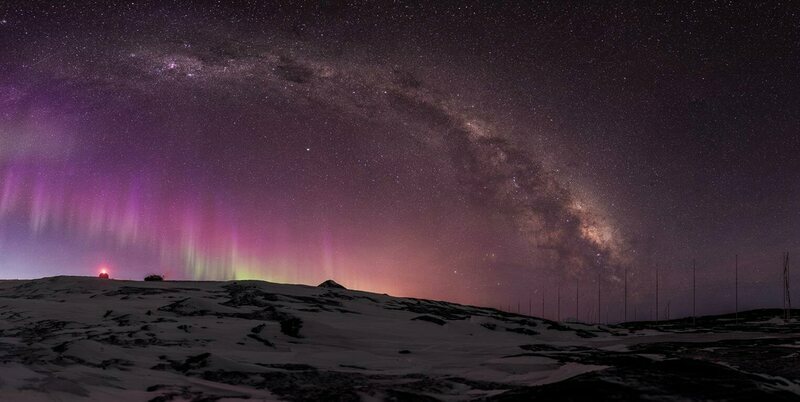 Winter in Antarctica is a dark time, literally and metaphorically. Small groups of scientists do overwinter on the continent, gazing up at auroras, sprinting naked to the South Pole from a nearby sauna, and trying not to let the long nights get to them. But when the daylight hours begin to vanish and the ice sheets stretch out over the ocean, the difficulty of doing research mounts. Snow gauges used in alpine research don't work because the wind blows so much old snow into them, and automated sensors may have trouble surviving the harsh conditions. 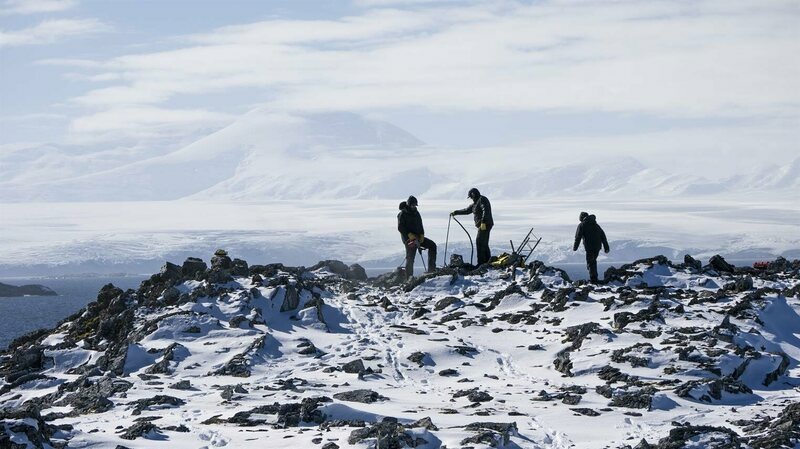 But when scientists do find ways to gather information about one of the most hostile environments on Earth, what they discover often surprises them. The first team of people known to have stayed the winter in Antarctica—after European explorers first started arriving on the shores in the 19th century—had not planned on it. In February 1898, a crew of European and American scientists, sailors, and explorers led by a Belgian naval officer ventured into the Bellinghausen Sea, west of the Antarctic Peninsula. Their ship, Belgica, got trapped in the ice, where it stayed for a full year. They managed to free it only after blasting a channel through the ice, which was threatening to hold them fast for another winter. One of the scientists on board died, and others were stricken with mental illness. Even under those adverse conditions, the crew of Belgica managed to make scientific discoveries. “The only notions we had about the climate of the Antarctic were based up on the very inadequate observations made during the three summer months,” wrote Emil Racoviță, the crew’s Romanian biologist, in 1900. But the expedition had "consecrated to the scientific implements an important portion of the feeble resources" available to launch and sustain the expedition. 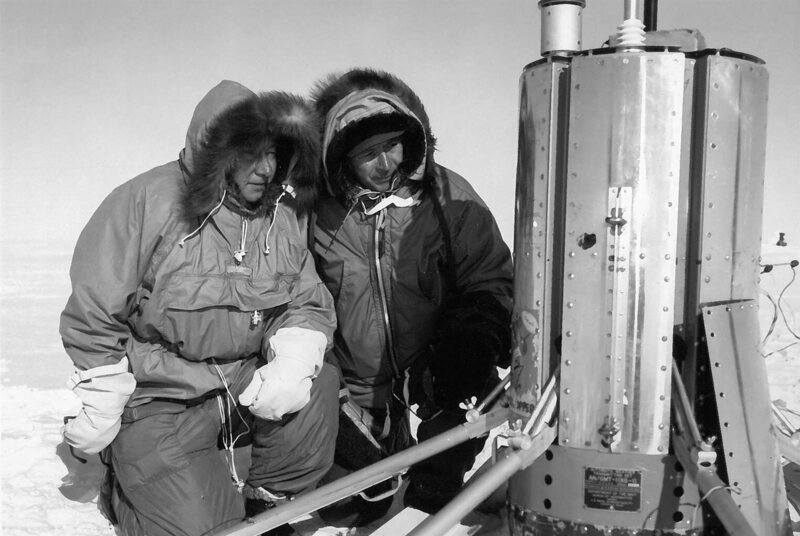 Through the long days trapped in ice, the crew measured temperature and barometric pressure, tracked the direction of the wind, noted the icebergs that floated past, and observed what life they could. For the first time, researchers had collected a year-long set of Antarctic meteorological and oceanographic data. The danger that held Belgica for the winter—that creeping, crushing ice—is still a worry for researchers today, and in the past decades there have been only a handful of wintertime research cruises around Antarctica, compared to dozens in the summer months. Last year, though, Nathaniel B. Palmer, an icebreaker chartered by the National Science Foundation, took a team of scientists to the Ross Sea from April to June, as winter set in. Each winter, Antarctic ice sheets extend anew out into the ocean. Unexpectedly, sea ice cover in the Antarctica has actually been growing, even as the Arctic ice cap shrinks on the other side of the world. In some years the sea ice cover in the Ross Sea has increased even more. By spending colder months on the ice, Ackley and his colleagues can gather data on its thickness, which satellites can't see, in order to better understand the process of sea ice formation. 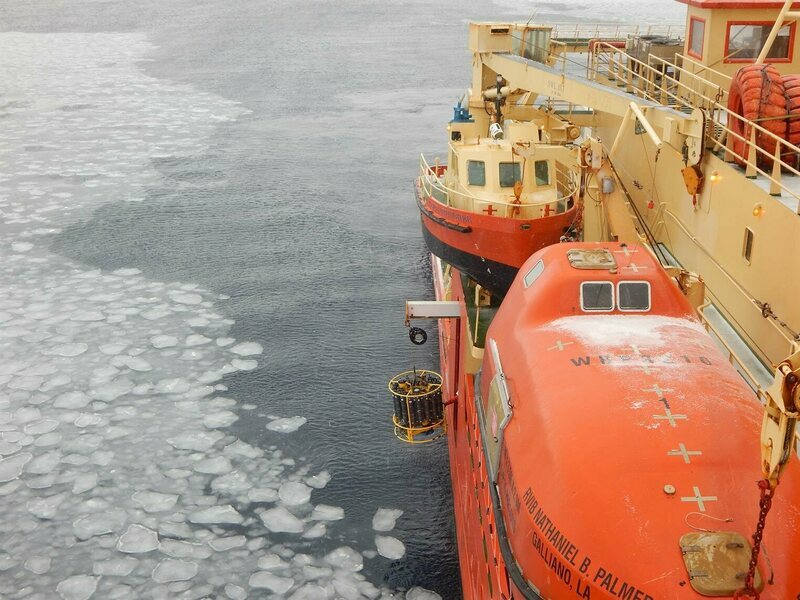 From Palmer, they could measure the heat balance at the water's surface and the effect of wind surges on ice growth, while using buoys and aircraft to measure changes in ice thickness and other ocean properties. The scientists on the cruise are still analyzing the data they gathered, but being in the field in the winter has already changed how they think about this system. "We were really struck by the magnitude of waves we were seeing—six- to eight-foot waves a short distance from the shore," Ackley says. The effect of the wind and waves was to pile up ice crystals into round, pancake shapes. “We didn’t appreciate that that type of ice was so ubiquitous." It’s clear to him that one winter cruise is probably not enough. In the continental United States, climate and weather monitors are all over the place, and collect data that can be knit together to form a detailed picture. In Antarctica, there are relatively few instruments, so there's a lot left to extrapolation, inference, and guesswork. Increasingly, however, scientists are filling in the gaps for the months they’re not in the field, often through satellite feeds or instruments they leave behind. The University of Oregon’s Paul Cziko, for instance, studies polar fish and recently installed an underwater observatory in McMurdo Sound. Even though researchers have maintained a year-round presence here for decades, "no one has been measuring the temperature of the seawater right outside the station," Cziko says. In the past, he's tried measuring the temperature of the sound's surface waters by throwing in stand-alone temperature loggers and coming back a year later, with the hope that the tool hadn't disappeared and still had data on it. To set up an underwater observatory that could log real-time data, he needed to find a way to run a cable out under the thick ice cover that, over the winter, might move up or down or crack along the shore. Now, with a thick pipe anchored to the bottom, he's not only collecting long-term temperature data, but also photographs and video from 70 feet below the ice. Already, it's allowed him to observe the plankton bloom that usually rolls in mid-December. He thought that it lasts for months each year, until the sun went down, but the new observatory shows that it dissipates after only a few weeks. "It really limits the productivity down there," he says. "That changes my thoughts about where things are getting their food." Another team, from the University of California, Santa Barbara, is interested in the risk acidifying ocean water poses to Antarctic shellfish. Only recently have they been able to deploy pH sensors that can survive months in the cold waters without failing. “We have found that the Antarctic exhibits some very unique changes in pH that we were not expecting,” says Umihiko Hoshijima, a doctoral student working on the project. In summer, plankton use up carbon dioxide, and the water became less acidic. In winter, when photosynthesis stops, the seawater acidifies. This cycle, the team has found, results in an unexpectedly large swing in acidity levels—about the twice the range of the total change scientists are anticipating for whole ocean over the next century. Sensors like these are leading to new insights on features of the frozen continent that they've simply never had the chance to notice before. The temperature bump that Kuipers Munneke and his colleagues identified, for instance, is caused by a relatively warm “hairdryer wind” that sweeps down from the mountains. “It’s very probable that the hairdryer winds have existed forever, since the Antarctic Peninsula has been there,” he says. But Kuipers Munneke only noticed the phenomenon because they happened to set up a weather station in the right place. “There’s a lot of knowledge obscured from us because Antarctica is such a large place and we don’t have a lot of stations to measure what’s happening there,” he says. More than a century after scientists started studying the continent, all it takes is one new sensor to reveal whole new aspects of the Antarctic puzzle.